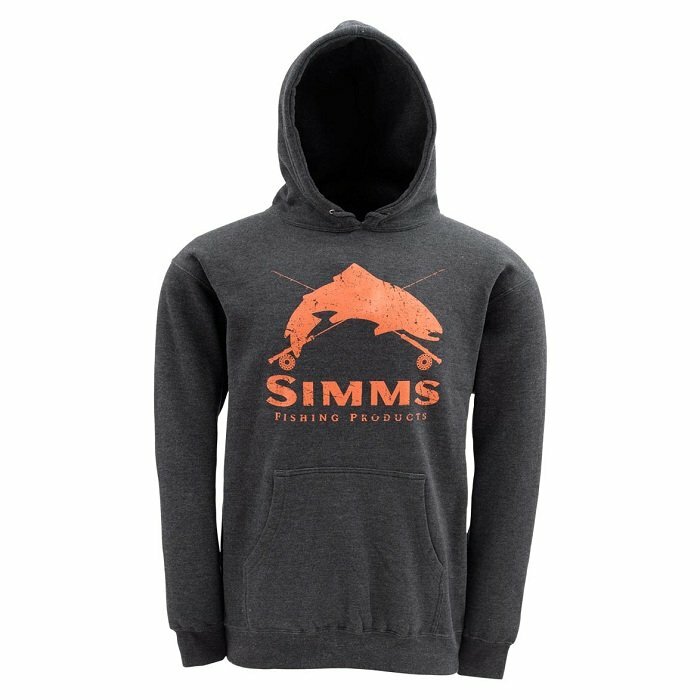 Day in and day out, Simms’ Crest Hoody is a consummate companion from river time to beer-in-hand recline. A hoody, indeed… for friends in need. Day in and day out, Simms’ Crest Hoody is a consummate companion from river time to beer-in-hand recline. This logoed incarnation delivers durability in the form of split-stitch double-needle sewing on all seams, and offers a sanctuary for cold hands with its standard kangaroo pocket. Throw on the fleece-lined hood, powered by heavy-gauge drawcords, to take the bite out of a mid-fall breeze.